Thank you for choosing Tropicana for your airport service. 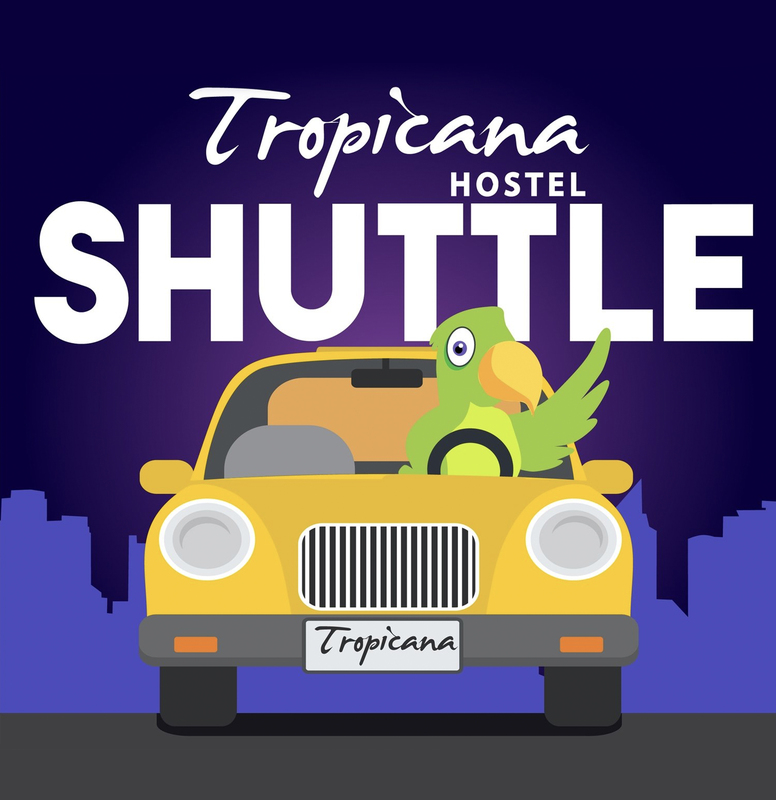 You are welcome to book the shuttle even if you are not staying at Tropicana Hostel. We are happy to bring you any where in Antigua Guatemala. Is the same cost for 1 upon 3 people. No extra charge. You can apply for a discount coupon if you are buying our famous tour "Acatenango Volcano" ask our costumer service representatives, by the "live chat" icon. Please make your reservation at least 24 hours in advance of your trip. Please give us in the "note section" the next information: Airline, flight number, city of origin, time to arrival and your email. Your shuttle is confirmed once you complete all this information and when you receive a confirmation email of space. If you have any further questions or do not receive a confirmation email please email infotropicanahostel@gmail.com with your order number and we will be delighted to help. There is no cancelation or transfer of shuttles once sold.